Some serious fun in the snow! For most families that book our winter activity experiences the only snow they experience is the feeble few days of snowy weather we get each year in the UK with flakes that barely cover the ground and then rapidly turn to grey slush. Others may be coming from warmer climes, further afield and have never come across snow before. 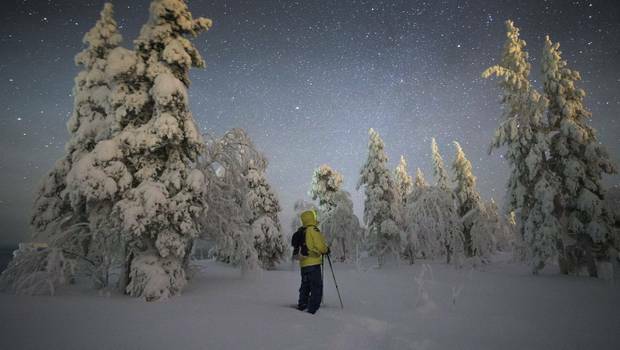 In Lapland, the snow falls rapidly from late November onwards, covering everything in a crisp even white layer which remains frozen until late March. 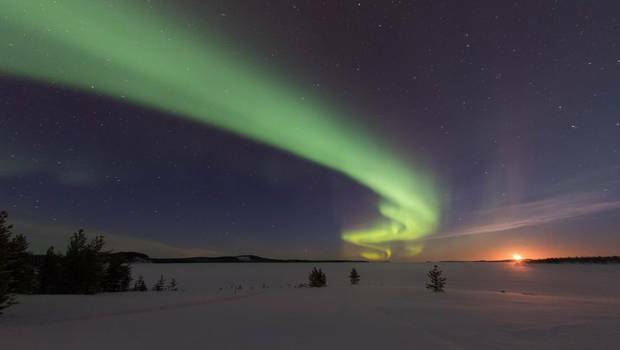 Our words can’t really do justice to just how lovely a winter in Lapland is, but we have no doubt that you will be completely won over by the magical, picture perfect scenery. What’s more, here they know how to cope with the snow without everything grinding to a halt – it’s just a part of life and one that is fully embraced with cross country skis, snowshoes, snowmobiles and husky sleds. For the children, snow always equals fun and as well as the all-important winter activities there will be plenty of time for you to play in the snow as a family and enjoy this wonderfully memorable experience together. Where can I go to experience snow fun? The short answer is absolutely anywhere in Lapland! Winter here means snow and in all of our locations you can make the most of the crisp white layer! Of course, in all locations you can enjoy the snow the way the people of Lapland do via cross country skis. These are an absolute way of life here in the winter and you will see cross-country ski trails throughout the landscape with adults and children whizzing along. Most of our trips do include cross- country skiing as one of the inclusive activities and after you have mastered the basics you can hire them from your accommodation and set out independently as a family to explore at your own pace. This is particularly popular with our tailor made trips, where you can tailor your time to fit this in however you like. If you find cross-country skis to be a bit tricky then snowshoes may be more your thing and these too are available to hire at all locations, giving you the chance to trample across the snow and explore your surroundings further. Always popular with the younger ones, are the kick sleds and toboggans at Sörbyn Lodge. These are free to use throughout you stay, offering you the chance to get stuck into the snow and have a lot of fun. Kick sleds are similar to scooters, but with wheels instead of runners and there are plenty of slopes and trails to make use of here. At Luosto there is an excellent toboggan run which is popular with any age of guest – there is something delightfully joyful in riding a toboggan down a snow covered hill that really does appeal to everyone! You can be sure that the children will never get bored of this in their spare time at Luosto. Snow fun is also often incorporated into out itineraries such as with snow sculpting at Kuusamo and the excellent ‘Lapland olympics’ at Torassieppi so you can enjoy some competitions and fun games as a family. As will become immediately obvious when you reach Lapland, the thick layer of continuous snow is caused by the very low temperatures so you will need to make sure that you are prepared when outside enjoying the snow. In the vast majority of our destinations we include cold weather clothing as part of the package which is typically snow suits and boots and we offer advice on the best layers to wear to keep you and the children toasty warm. The guides will give you the best advice on how to keep out the cold so do heed their advice and chat with them if you are unsure. When hiring cross country skis and snowshoes you should also make sure to follow the set trails and make sure you discuss the route with the guides beforehand so you choose the best route for your abilities. There are lots to choose from. Always inform the hotel that you are heading out independently and ensure you have a mobile phone with you just in case.